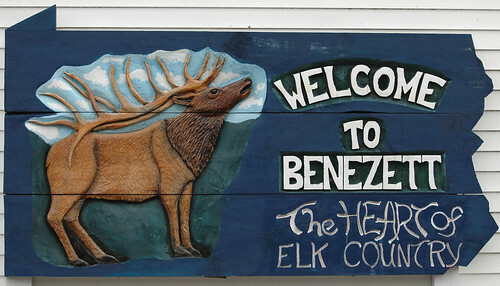 On my way home from a weekend trip to New Jersey I decided to stop by the Village of Benezette in the heart of Pennsylvania’s elk country to see what I could find. I got very lucky and ran into a herd of about 25 elk just outside of the village. 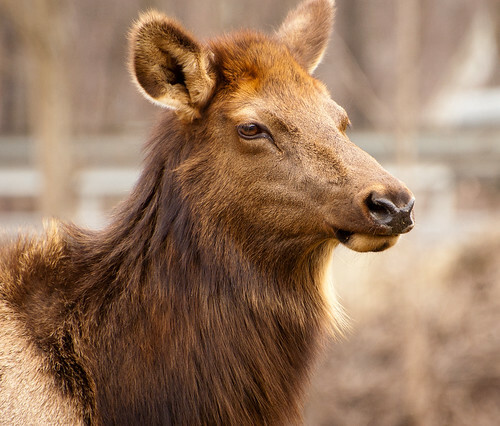 Hunting, logging and a growing human population drove the Pennsylvania elk to extinction in the late 1800’s. However, in 1913 elk were brought in from Wyoming and released into the Pennsylvania Wilds. 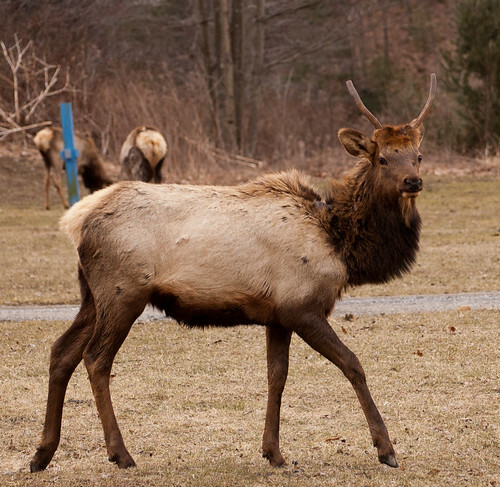 For the first 50 years there was minimal population growth, but the past 50 years has seen the Pennsylvania elk population grow from about fifty to over five hundred. The Native American (Shawnee) word for elk is wapiti, which means “white rump.” Elk are much bigger than white-tailed deer. Elk stand 5-6 feet tall, while deer are generally 3-4 feet tall and weigh under 300 pounds. 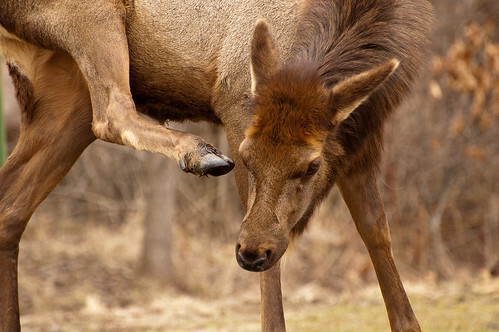 Female elk can weigh as much as 600 pounds, while the males can grow to 1000 pounds. The elk did not seem bothered by cars, so I was able to use the car as a blind (and a telephoto lens) for the photos. 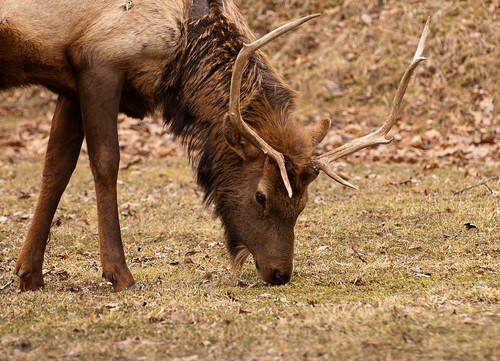 The male elk are in the process of losing their antlers and starting to grow new ones. The new antlers will be fully grown (up to 6 feet) in August, which is the start the rutting season. This elk is a spike bull elk, which means a young male (1-2 years old) that has not yet started growing branching antlers. Sign seems to misspell Benezette. This entry was posted on 14 March 2013 by patacoate. 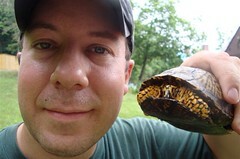 It was filed under iPhone and was tagged with Benezette, eastern elk, Elk, Pennsylvania Wilds, wapiti. When I worked in St Mary’s PA. I made several trips to that area. The Elk are so tame that I was able to stand 25 ft from them. Nice photos. I didn’t realize Pennsylvania had elk. I’ve heard they have Wild Boars which would be cool to see too. great photo of the elk!